This post is the fifth in a series introducing the 12 teams participating in the 2018 Wood Stove Design Challenge in November. Greenway Power Stove to power a light bulb. Fred Leavitt has been working in thermoelectrics since he graduated from college in 1982. He learned the technology from the team that developed the SNAP-27 thermoelectric generator left on the moon by the Apollo missions, as well as the team that developed the thermoelectric generators for the Voyager spacecraft. Now, as Vice President of Hi-Z Technology, he wants to bring that technology to your living room. Fred developed a thermoelectric pellet stove twenty years ago, but the thermoelectric modules were too expensive and the market wasn’t ready. With dramatically lower module costs, Fred is looking to do more than just “power lights.” Hi-Z, in collaboration with Northwestern’s Department of Material and Engineering Science, will be adding a custom made thermoelectric generator (TEG) to a WiseWay pellet stove for the 2018 Wood Stove Design Challenge. Hi-Z Technology is a powerhouse of thermoelectric expertise. Founded in 1988, it is a California R&D business of engineers and technicians who design, develop and manufacturer bulk thermoelectric modules and generator systems. 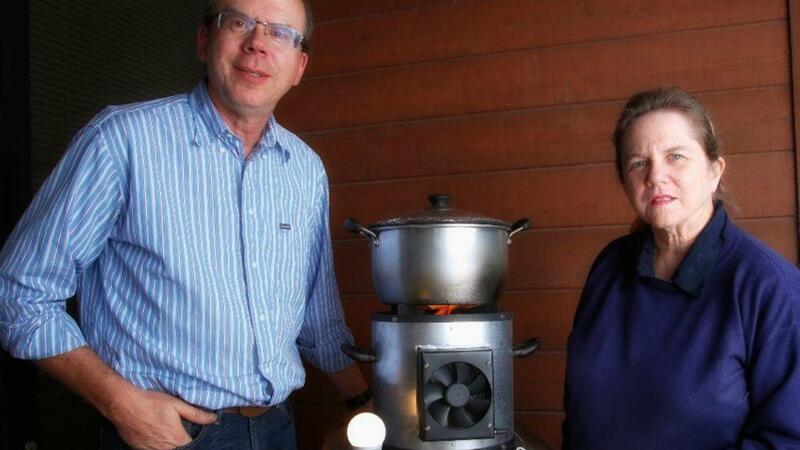 Hi-Z, along with ASAT, another team in the Wood Stove Design Challenge, also received a $300,000 grant from the EPA to work on thermoelectric cook stoves. Fred’s goal for the WiseWay is to produce about 100W of power, enough to recharge a home battery, supplement photovoltaics, power lights and small appliances, and provide potable hot water. The WiseWay, invented by Gary Wisener, was certified by the EPA in 2012 and later bought by US Stove. 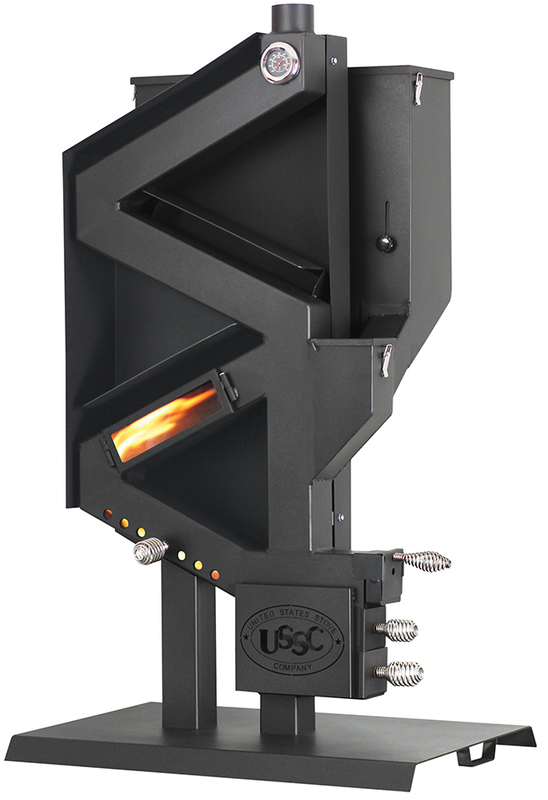 It was the first and remains the only gravity-fed pellet stove on the US market that does not need electricity. The stove is thus an ideal candidate to produce electricity as it's often used off-grid in homes that need more reliable electricity, particularly in the winter. Fred is adding a water-cooled TEG near the combustion chamber, technology that Fred says “is simple, but works.” He likes pellet stoves because the combustion chamber has less temperature fluctuations compared to cordwood stoves, which improves TEG power output and longevity. Fred plans to cool the water with a hydronic radiator, which would allow the WiseWay to heat more than one room in a home and provide hot water for cooking and cleaning. Come November, Hi-Z plans to bring their new and improved stove complete with a water-cooled electric generator to the challenge. Fred and his team are also working to eliminate the need for manually igniting the stove with a propane torch by adding a battery-powered heating element. They are also exploring the addition of a DC-powered exhaust fan to improve combustion. from one of their cook stove designs. 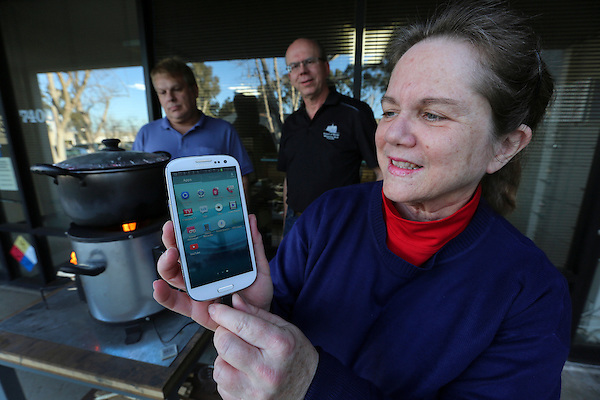 The development of the thermoelectric WiseWay has had minimal technical struggles. However, Fred notes that the team has faced considerable challenges making the model “cheap enough to make it a commercially viable product.” The team is determined to showcase a thermoelectric pellet stove that is easier to operate, can reliably produce electricity, heat and hot water, and is affordable.